Ambassador Charles Richard Stith, a diplomat, minister, professor, and urban reformer, presently serves as the Director of the African Presidential Archives and Research Center at Boston University in Massachusetts. In 1998, President Bill Clinton named him ambassador to Tanzania. Stith was born on August 29, 1949 and raised in racially segregated St. Louis, Missouri. In 1973 Stith earned his bachelor’s liberal arts degree at Baker University in Baldwin, Kansas. Two years later, he earned his Masters of Divinity degree at the Interdenominational Theological Center in Atlanta, Georgia, and married urban health scholar-activist Dr. Deborah Prothrow-Stith. In 1977, he received a second master’s degree in theology from the Harvard University Divinity School in Cambridge, Massachusetts. While attending Harvard, Stith began serving Boston’s South End community as a junior minister at Union United Methodist Church. In 1979, he was at age 30 appointed as the youngest senior minister at Union. In this role, he increased the church’s appeal to youth and led the congregation in embracing new members of diverse backgrounds. Stith also became one of the leaders in the Boston protests against apartheid in South Africa. In 1987 Stith founded the non-profit institution, Organization for the New Equality (ONE) which sought to promote investment in Boston’s inner city neighborhoods and create economic opportunity for women and people of color. Under Stith’s leadership, ONE received $500 million in funding from BancBoston Mortgage Corporation in 1995 to create the first comprehensive community reinvestment agreement in the country. His success at the state level led to his appointment to the national committee that restructured the Community Reinvestment Act (1977) which channeled nearly $2 trillion in credit and capital to low- and moderate-income communities and communities of color between 1995 and 2008. In 1994 Stith was appointed by President Bill Clinton to the U.S. delegation which monitored South Africa’s first democratic election. Impressed with Stith’s role on the committee, President Clinton named him U.S. Ambassador to Tanzania. Stith’s appointment came one month after the U.S. Embassy in Dar es Salaam, the Tanzanian capital, was bombed by Al Qaeda terrorists who killed 22 Americans and Tanzanians. Stith’s job was to stabilize U.S.-Tanzanian relations in the aftermath of the tragedy. 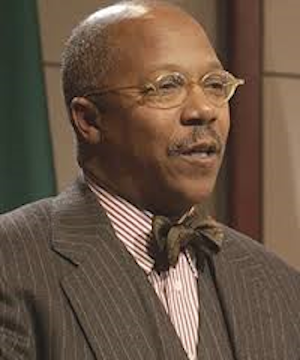 Ambassador Stith worked with the Tanzanian government to strengthen its economy and democracy. He also participated in negotiations for the first successful debt reduction package for a sub-Saharan African country under the Heavily-Indebted Poor Countries Initiative (HIPC). Ultimately, by the end of his ambassadorship, Tanzania, a former socialist state, had become a model African nation for encouraging U.S. trade and investment in Africa. In retirement, Ambassador Stith continues to serve Boston as an urban reformer affiliated with Union United Methodist Church and ONE. He also holds a faculty appointment in the Boston University (BU) Department of International Relations, and has founded and directs its African Presidential Center (APC) which produced the annual African Leaders State of Africa Report. Stith has written articles for newspapers, magazines, and books on economic empowerment of poor communities in the U.S. and Africa. His two books on the subjects are Political Religion (1995) and For Such a Time as This: African Leadership Challenges (2008). Stith also serves on the U.S. Commission on International Religious Freedom (2001-2), the Advisory Committee in the Office of the U.S. Trade Representative, and is a member of the Council on Foreign Relations and the Council of American Ambassadors. “The Director,” BU African Presidential Center, http://www.bu.edu/apc/about-the-center/the-director/; Council of American Ambassadors, “Charles R. Stith” (2013) http://www.americanambassadors.org/members/charles-r-stith; “From tension and hostility to an era of more interracial peace,” Boston Globe, January 16, 2015, http://www.bostonglobe.com/opinion/2015/01/16/from-tension-and-hostility-era-more-interracial-peace/8sVmDw1r0mxJL0uDF6uOBL/story.html; “Our History,” Union United Methodist Church, http://unionboston.org/about/history.